Today, we’re shining a light on your favorite herb! If it isn’t already, there are many reasons it should be! Used in a large variety of dishes, we’re showing a little extra love to rosemary as we all slowly prepare for the holiday season. Similar in appearance, but not in style, rosemary is often mistaken for thyme, but its evergreen, woody aroma is like no other! One of the best features of growing this herb is that, unlike most that last a season, it’s is a perennial plant, which can last for many years. Rosemary has an amazing array of health benefits, which is why it’s in the Farm Cut logo. It’s packed with iron, calcium, antioxidants, and vitamin B6. It contains an ingredient called carnosic acid, which may help fight off damage caused by free radicals in the brain. Rosemary also has the ability to help detoxify your liver, improve blood circulation, and help balance hormone levels. Some studies have shown that just smelling rosemary can help reduce stress and boost energy. As you can see, there are a ton of reasons why you should consider incorporating rosemary into your diet. The powerful herb can be used to garnish or enhance the flavors of your favorite dishes. When roasting meat or vegetables, try adding whole sprigs to the oven pan, or chop finely and include in soups or stews. Some chefs use rosemary oil in desserts for a sweet and savory result. 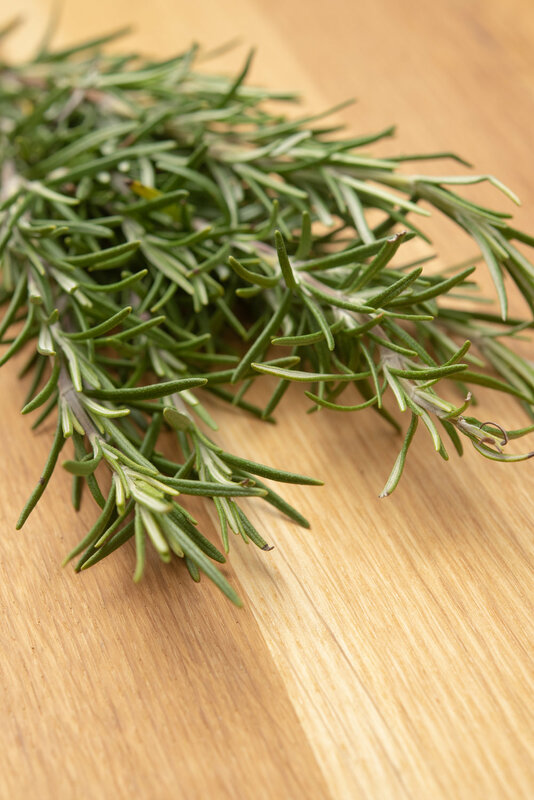 Chef Lindsey loves adding fresh rosemary to her soups and chicken & vegetable dishes. Transform your next dish with this powerful herb. While there are many benefits to rosemary, it‘s important to note that high consumption of this herb may interfere with medications and/or may cause minor to severe health conditions. It is suggested you consume no more than 4-6 grams of rosemary herb and up to 1mg of rosemary essential oil a day.